Really cute girl and her Grandpa. They live in our complex and we see them outside all the time. 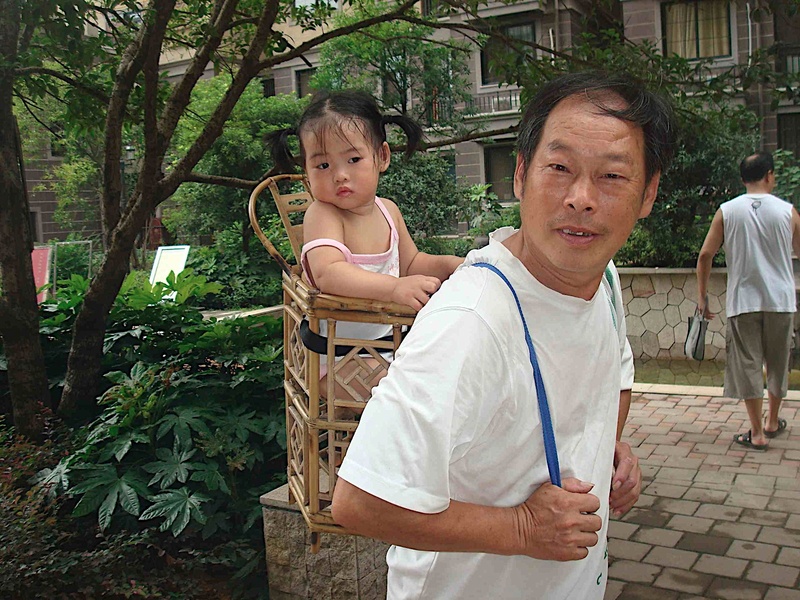 They are a traditional family, as Grandpa and Grandma take care of the girl, while the parents work. They also use the old fashioned child carrier...can't imagine thats comfortable for girl or Grandpa!